100! And we're just getting started! 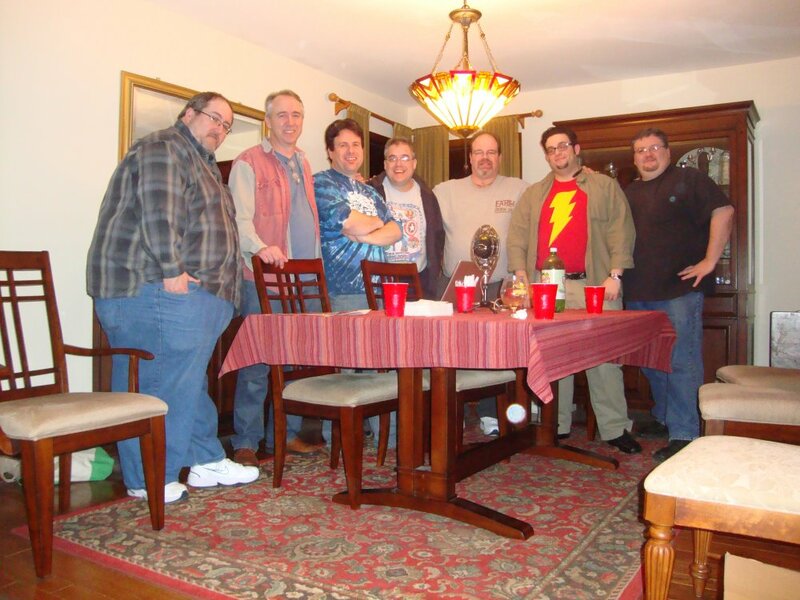 Earth Station One celebrates 100 episodes! We invited some of our friends on board the station for a night of fun, friendship, and discussion of all things geeky. 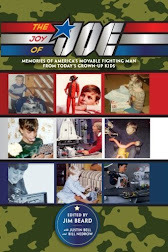 Featuring Friends of the Station Peter Cutler, Mark Maddox, Dr. Q, Anthony Taylor, and more! We also reveal some BIG news and announce a contest to win a date with a crewmember! Many thanks to all our supporters for the last 100 episodes – we could not have done it without you! 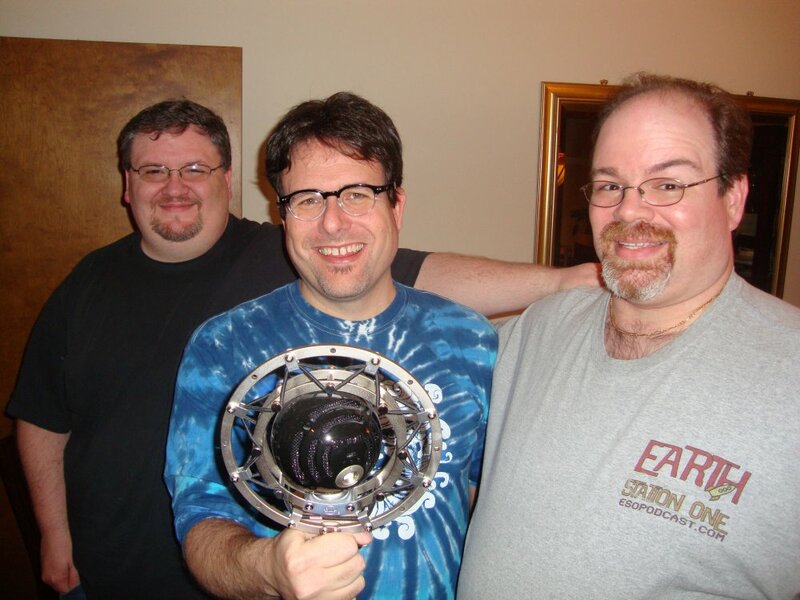 Join the ESO crew as we celebrate 100 episodes at http://www.esopodcast.com/. Your hosts - Bobby Nash, Mike Faber (holding the mic), and Mike Gordon. 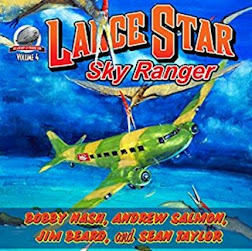 Next week, Earth Station One has a song in its heart as the station crew dives into their favorite musicals. Join us for a musical jaunt down memory lane. Bobby promises not to sing. We would love to hear from you. What are your favorite musicals? Let us know at www.esopodcast.com, at the ESO Facebook Group, email us at esopodcast@gmail.com, or call us at 404-963-9057 with your list. We might just read yours on the show. 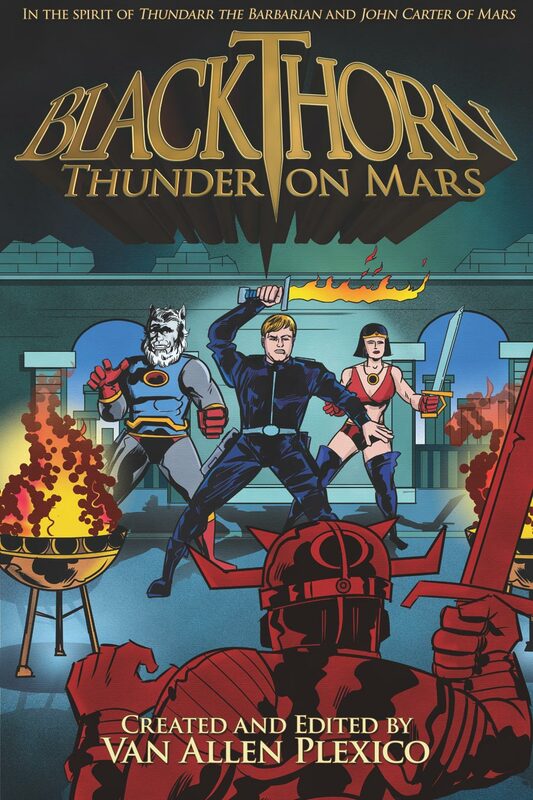 Ron Fortier reviews Blackthorn: Thunder on Mars. 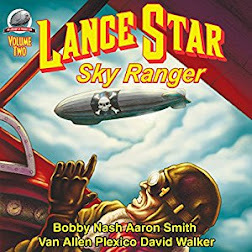 Created by Van Allen Plexico, Blackthorn: Thunder on Mars features stories by Van, Bobby Nash, Ian Watson, Sean Taylor, Mark Bousquet, Joe Crowe, and James Palmer. Interior art by Chris Kohler. Cover art by James Burns. Congratulations to the Blackthorn team. 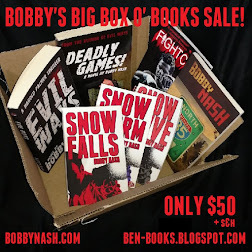 Bobby Nash has been on the blog before and it's a pleasure to have him back. Bobby, welcome back. You've been busy since last we spoke. 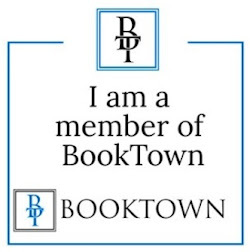 Please give readers a brief bio and tell us something about yourself that might surprise us. Susan, it's always great to visit your blog. 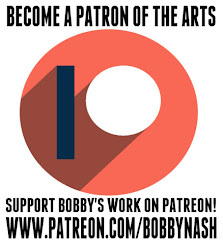 Please leave a comment or question after the interview and Bobby will answer them as well. Had a busy day of writing today. 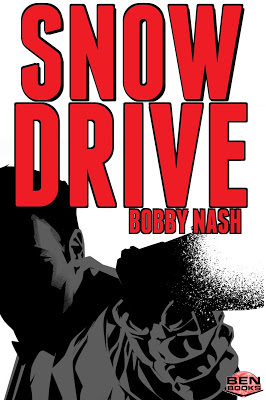 Finished the 1st draft of a graphic novel script and sent it off to my writing partner for his approval. This has been a fun project and I'm excited for the day I can talk a little about it. I also received the final art on another comic project today as well. 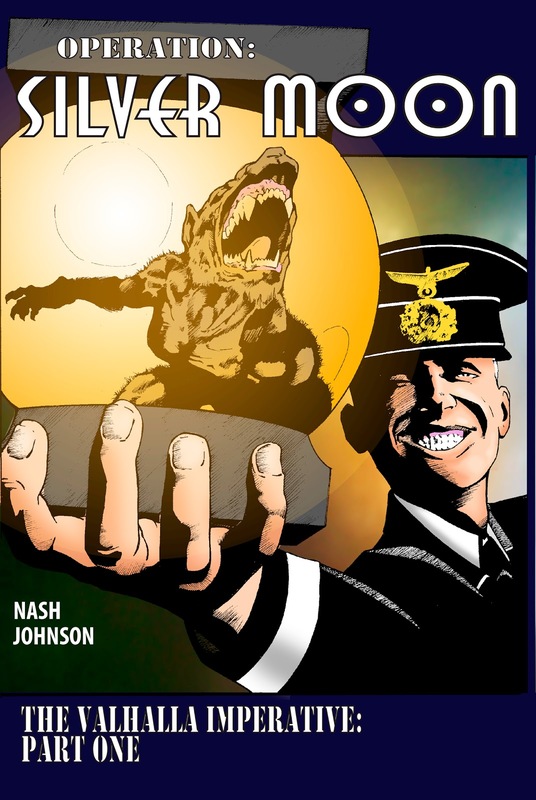 This one is called Operation Silver Moon by myself and Rick Johnson. 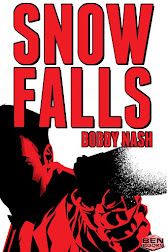 It's a lot of fun and clocks in at 98 pages of story. 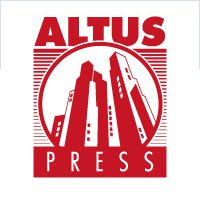 First up is shopping it around to publishers. Fingers crossed. I love it when projects come together. Tomorrow, it's back to work on the two prose projects due next. 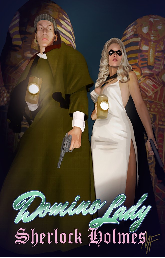 The Domino Lady novel for Moonstone Books and a story for Pulp Obscura's The Cases of Major Lacy for Pro Se Press. 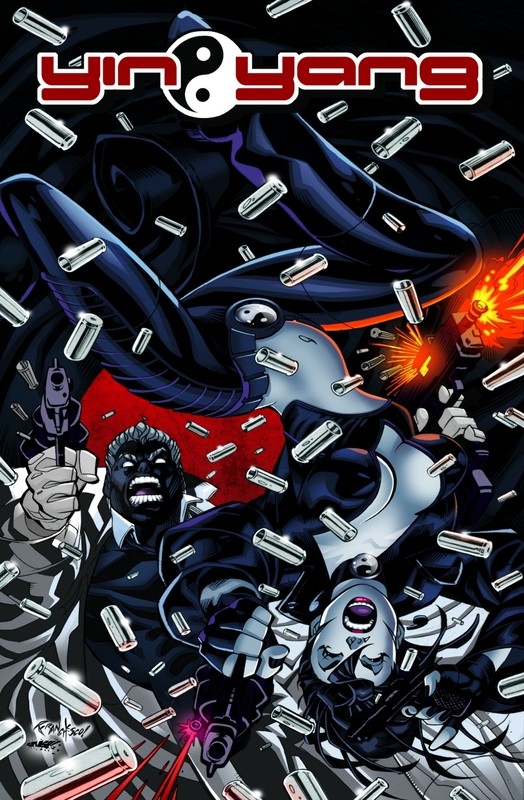 YIN YANG AND DOMINO LADY NOW PART OF COMIXOLGY. 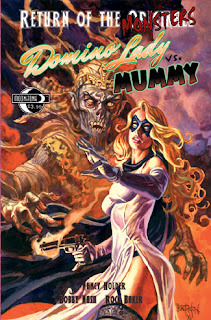 Comixology has added the YIN YANG graphic novel and DOMINO LADY VS. MUMMY, both written and co-written by Bobby Nash to their digital comic book catalog at http://www.comixology.com/. 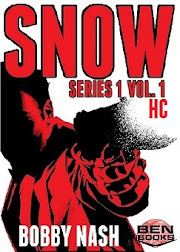 You can learn more about Comixology at http://www.comixology.com/. 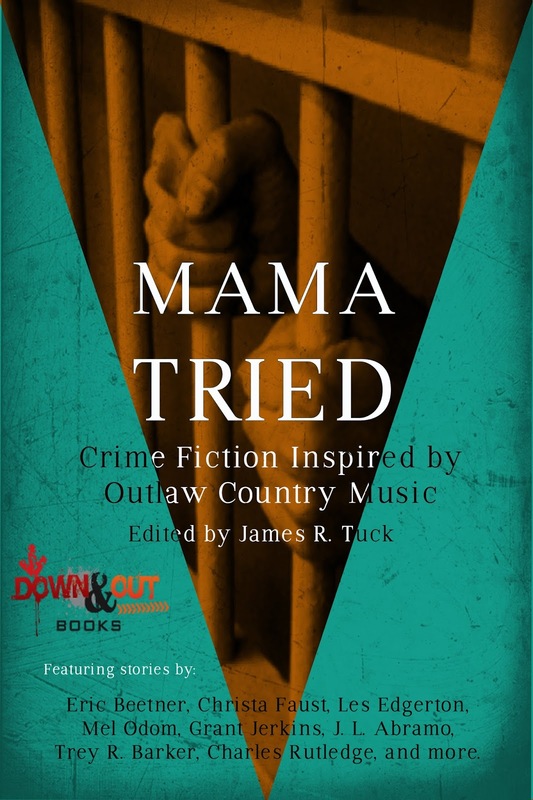 Congratulations to the Pulp Ark Awards winners. Tommy Hancock, Editor in Chief of Pro Se Productions and Pulp Ark Coordinator, announces that voting has closed for the 2012 Pulp Ark Awards, the first awards given in association with this inaugural Pulp creators' conference/convention. 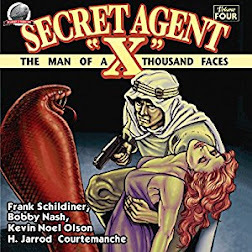 Featuring a Secret Agent X story by Bobby Nash and Jeremy McHugh. 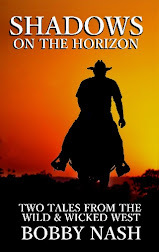 Bobby wrote a story for the Blackthorn: Thunder on Mars anthology. 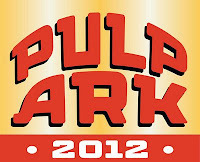 The awards, 8X10 engraved wooden plaques, will be awarded in the middle of Pulp Ark, the evening of Saturday, April 21, 2012. Hancock stated that all winners as well as nominees are encouraged to attend, but any winners who could not would receive their awards by mail. Pulp Ark thanks all who nominated, all who voted, and congratulations to all the nominees and especially to the winners of the Pulp Ark 2012 Awards! I had a great writing day today. 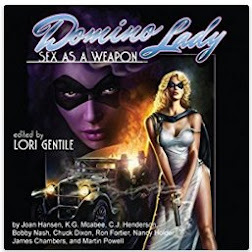 I wrote a couple thousand words of prose, kickstarting the Domino Lady novel for Moonstone Books into gear. 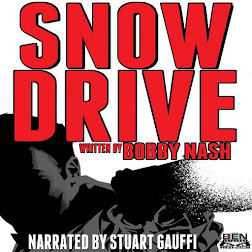 Plus, I wrote 7 pages of a graphic novel script that is nearing the finish line. 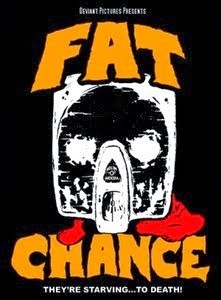 I can't disclose the title of that one yet, but when I can you'll hear it here first. 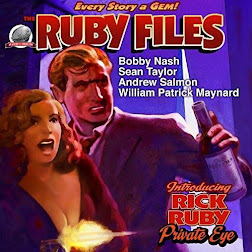 I ended the night reading over proofs for my story in the upcoming The Ruby Files anthology that is scheduled for a March release from Airship 27. Made some notes and sent it back to the designer for the final pass. I still have some interview questions to answer before calling it a night. What a fun, busy day. UPDATE: 1 a.m. - Interview questions answered. Whew. Long, but interesting interview. Will read over answers in the morning before sending them off. Now it's time for a little TV before bed. An Issue Too Long? 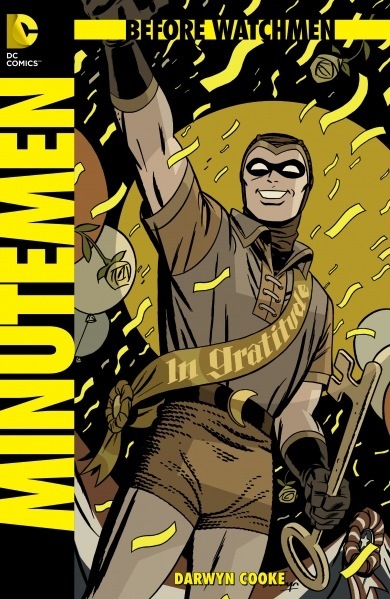 How Long Should a "Typical" Comic Book Arc Be? 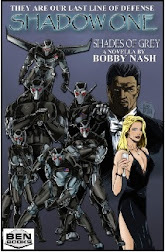 Bobby joins the discussion at Sean Taylor’s Bad Girls, Good Guys, and Two-Fisted Action blog along with writers Chuck Dixon, Erik Burnham, John Morgan Neal, Ken Janssens, Lee Houston Jr., Martheus Wade, and Sean Taylor. This week, the roundtable discussion looks at plotting comic book stories, length of an arc, and just how important it is to have a beginning, middle, and end to each story. 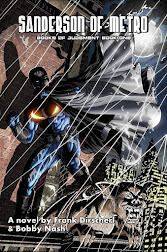 If I can suggest a question for your question of the day -- How long should a 'typical' comic book story arc be? 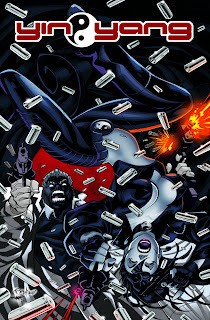 I ask for various reasons but the main one is that it used to take an issue or two to tell an origin story and I've read several new titles that are on issue 6 and not sure if they've finished any origin story arcs yet. New Pulp's Table Talk returns. 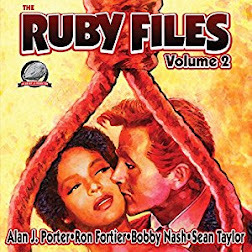 This week the three New Pulp authors talk about whatever questions happen to teleport through the quantum pockets of their nebulous imaginations. 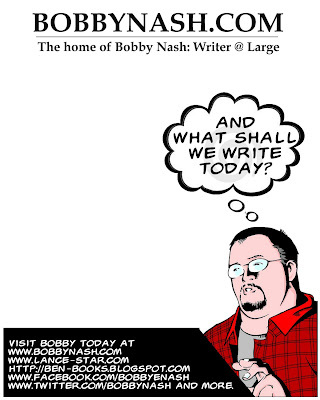 This week, Barry Reese, Bobby Nash, and Mike Bullock dig into the mailbag and respond to more questions from you, the readers. 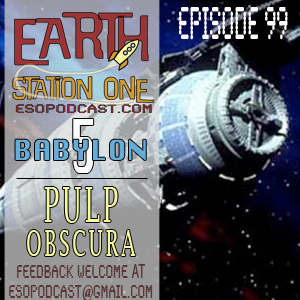 This week, Bobby Nash takes command and we travel to deep space to visit the station known as the “last, best hope for peace.” The name of the place is Babylon 5! Writer Van Allen Plexico joins the crew to discuss this landmark series. 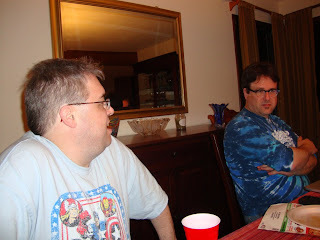 We also strap Tommy Hancock and Matthew Moring to the Geek Seat and they reveal the new line of books from Pulp Obscura. 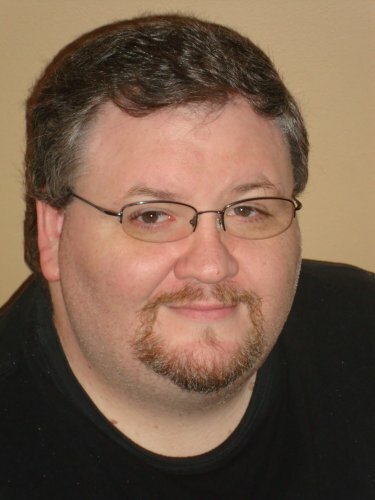 Plus, Scott Viguie reports on Gallifrey One! 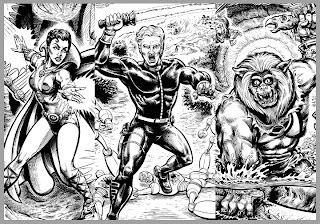 Join us for yet another episode of The Earth Station One Podcast we like to call: And So It Begins at http://www.esopodcast.com/. Next week, Earth Station One turns 100. That’s right. 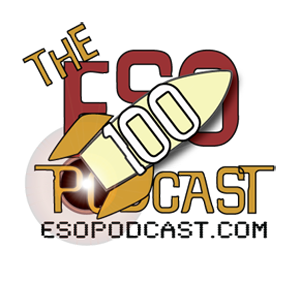 ESO reaches episode 100 and we’ve invited some of our friends to stop by the station for a night of fun, friendship, and discussions of all things geeky. 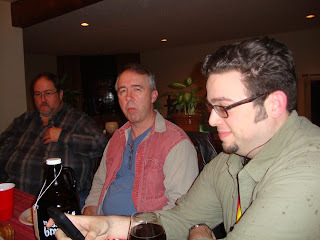 Special guests Mark Maddox, Anthony Taylor, Peter Cutler, and Doctor Q join Mike Faber, Mike Gordon, and Bobby Nash for a 100th episode celebration. We would love to hear from you. What are some of your favorite memories from the first 100 episodes? Let us know at http://www.esopodcast.com/, at the ESO Facebook Group, email us at esopodcast@gmail.com, or call us at 404-963-9057 with your list. We might just read yours on the show. Or just call us up and say hi. 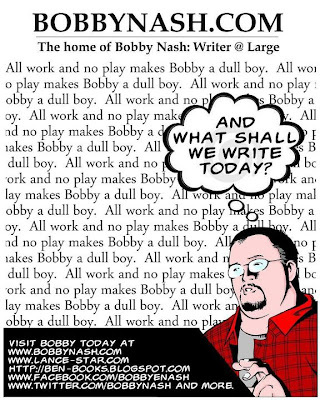 SO, WHAT DID YOU DO TODAY, BOBBY? Today was rather productive. I wrote 8 pages of a 40 page graphic novel script (that I can't reveal the name of as yet) plus tweaked previous pages. I also did research on neuromuscular disorders for that story as well so it was a full day indeed. Time to step away from the computer for a bit. EARTH STATION ONE TURNS 100! 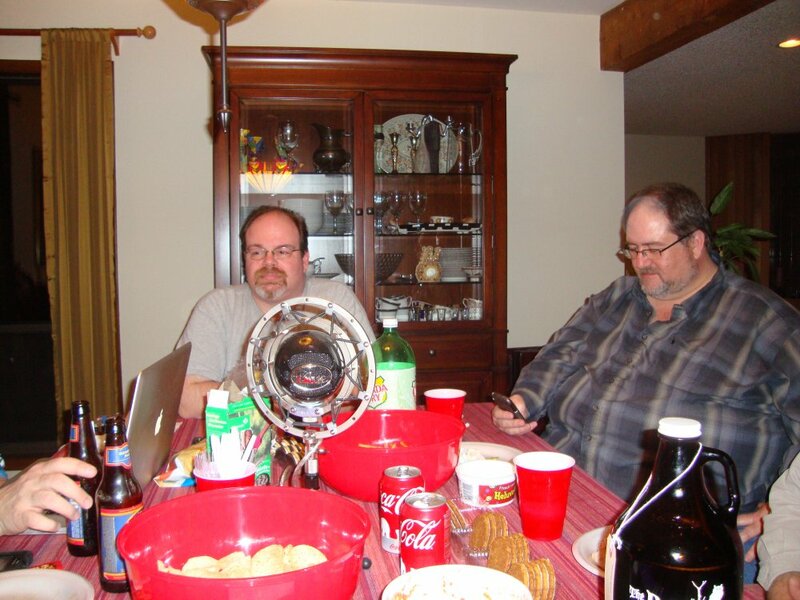 We recorded the 100th episode of the Earth Station One podcast last night. A fun time was had by all. It'll be a couple of weeks before the episode airs, but I wanted to share some photos from the event. Click on the photos for a larger view. You can listen to Earth Station One podcast episodes at http://www.esopodcast.com/. Bobby and the 3 Mikes from Earth Station One's 100th episode recording. 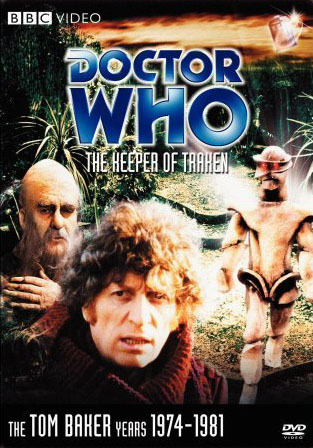 This week we hop back in the TARDIS and travel back to the era of the 4th Doctor as we discuss ‘The Keeper of Trakin’ and the return of the Master. 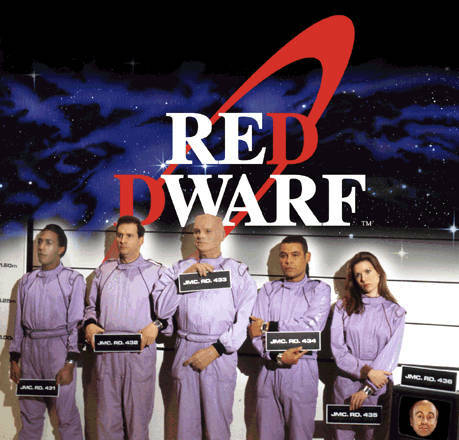 Then we meet up with the crew of the Good Ship Star-bug and chat about Red Dwarf series 6. 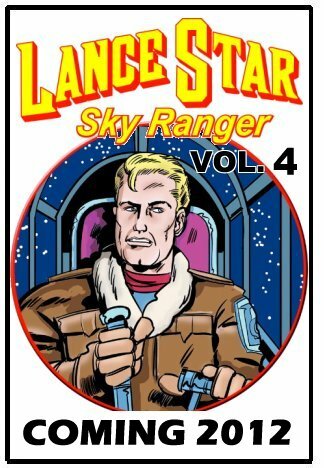 Join us for yet another episode of The Earth Station One Podcast we like to call: Classic Brit SciFi at http://www.esopodcast.com/. 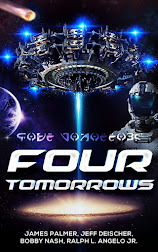 Next week, Earth Station One visits another space station as we head to neutral territory in the dawn of the third age of mankind for a tour of Babylon 5 with special guest, author Van Allen Plexico. We would love to hear from you. 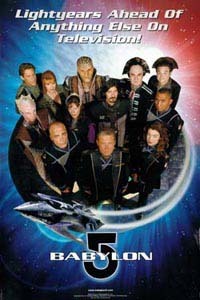 What are your favorite Babylon 5 memories? Let us know at www.esopodcast.com, at the ESO Facebook Group, email us at esopodcast@gmail.com, or call us at 404-963-9057 with your list. We might just read yours on the show. 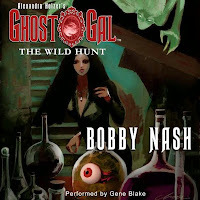 Bobby joined the pulp/comic book discussion over at Sean Taylor’s Bad Girls, Good Guys, and Two-Fisted Action blog along with writers Van Allen Plexico, Lee Houston Jr., Ed Erelac, and Sean Taylor. 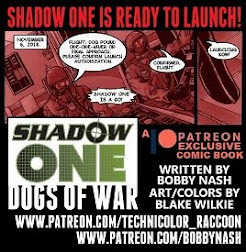 Check out Comics to Prose -- From Four Colors to Black Text at http://seantaylor.blogspot.com/. 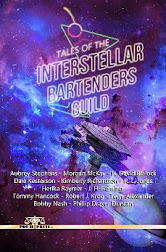 Those of you who follow the Table Talk column at http://www.newpulpfiction.com/ know we run a regular "Questions from the Reader" segment every few weeks. Well, the guys like the interaction so much (let's face it, sitting in an office with nothing but you and your imaginary friends can make a writer very lonely) they decided to try a new spin on it. 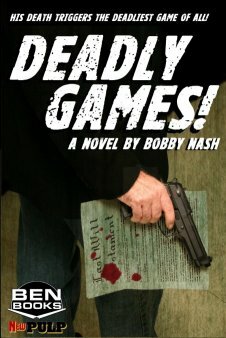 This week, Barry Reese, Bobby Nash, and Mike Bullock decided to turn the tables on you, the reader, and pose questions for you to answer. 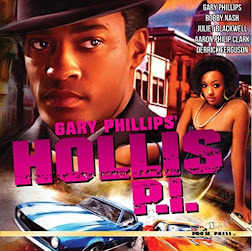 Please pick one (or more) question(s) and respond in the comment field at http://www.newpulpfiction.com/2012/02/table-talk-turning-table.html. When responding, please let the guys know to which question you're replying so as to avoid confusing them more than life in general already has. Question #1 (Bobby Nash): There has been a lot of discussion lately on the appeal of pulp and new pulp to modern audiences? 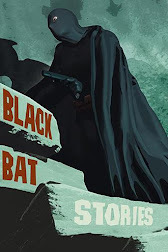 What makes you, the reader, want to pick up a classic pulp or new pulp book? 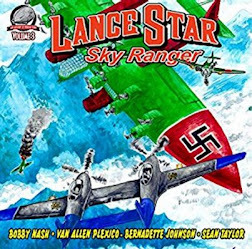 Is it characters, publisher, creators, cover art, or something else? 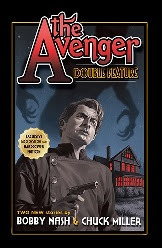 What are you looking for in your pulp tales? Question #2 (Mike Bullock): What do you prefer reading, existing characters in all new stories, or all new characters in new adventures? Or, a mixture of both? Please explain why. 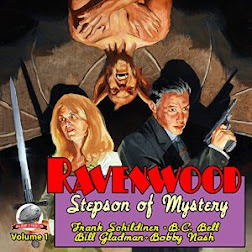 Question #3 (Barry Reese): Are there any genres you feel are currently being neglected in New Pulp? If so, what would you like to see and in what format? Ready on the Flight Line! Accomplished a good bit of writing today. 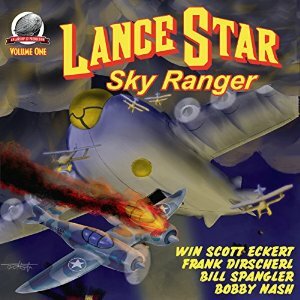 Wrote over 3,000 words to finish up the Lance Star: Sky Ranger novella and essay. Sent off to editor. 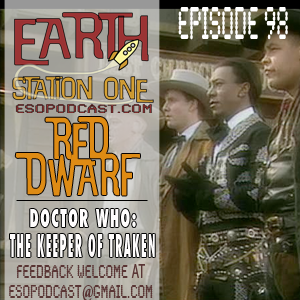 Now a bit of rest, and hopefully get rid of this headache, before we record this week's Earth Station One podcast. 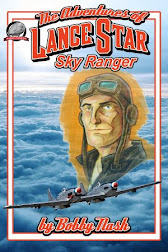 Learn more about Lance Star at http://www.lance-star.com/. 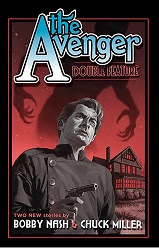 Introducing the new Pulp Obscura website! 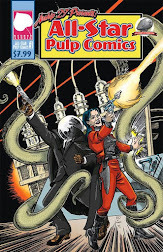 PULP OBSCURA now has its own home on the web! Yesterday Blazing to Life in New Pulp Tales Today. 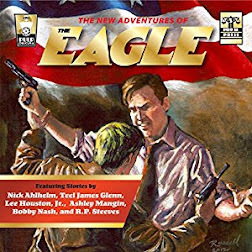 Bobby will have stories appearing in 3 Pulp Obscura titles, including The New Adventures of The Eagle, coming in March, 2012. 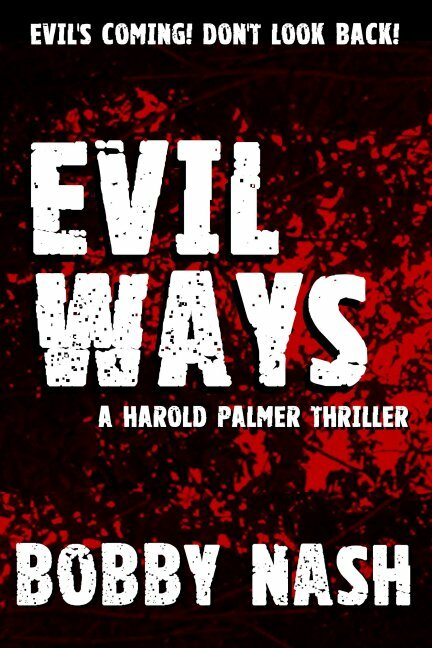 More titles to be announced soon. 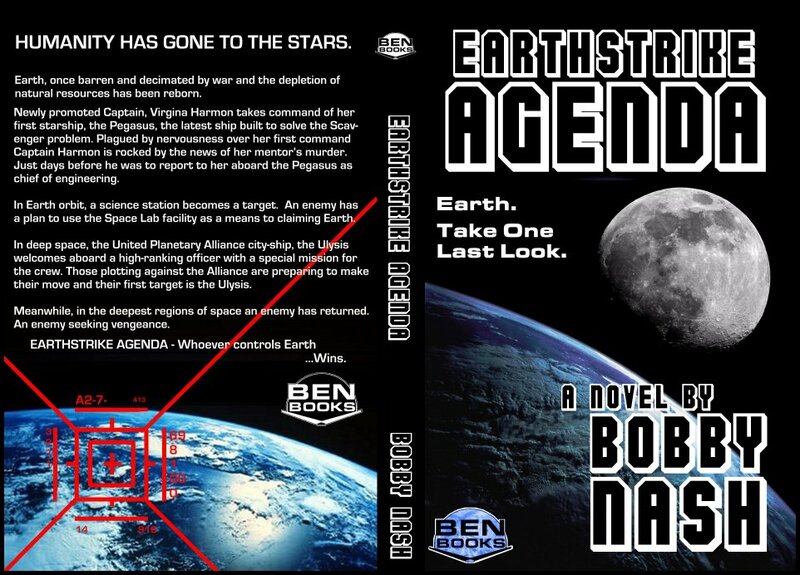 Just wanted to share a sneak peek at the front and back covers of my upcoming BEN Books novel, Earthstrike Agenda. 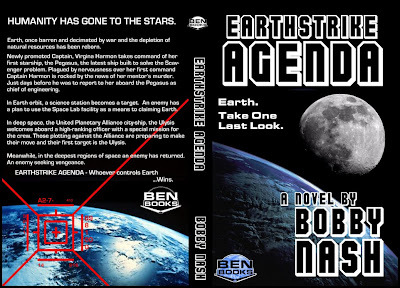 Look for an official announcement within the next month or two here and at http://ben-books.blogspot.com/. Had a pretty decent writing day. 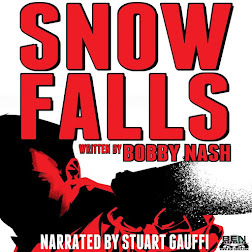 Made great progress on a comic script and a novella and updated my website. Time for a little TV then bed. 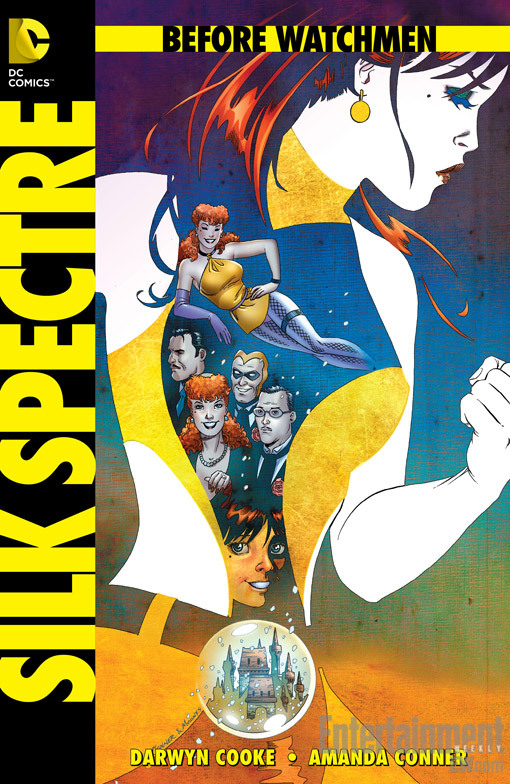 New Pulp’s Table Talk Is Back! And They Brought Character Storms With Them. Welcome back to Table Talk. Sorry we're late, we got here as soon as we could. 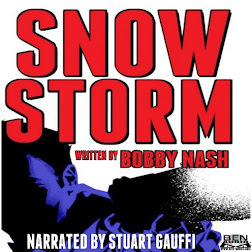 This week, Barry Reese, Bobby Nash, and Mike Bullock discuss doubts, storms, characters, and lost inspiration. 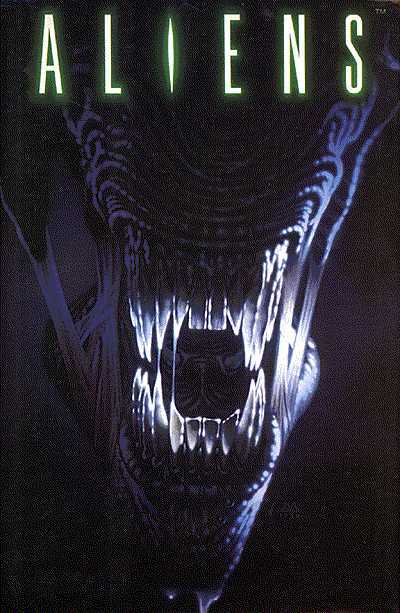 This week we continue our favorite moviemakers series. 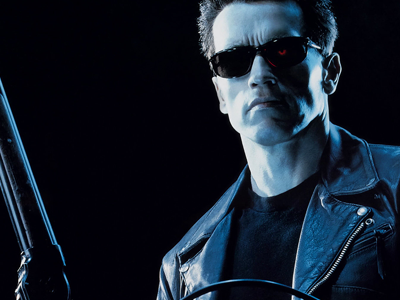 This time out we tackle the works of James Cameron, from Terminator to Avatar and everything in between. 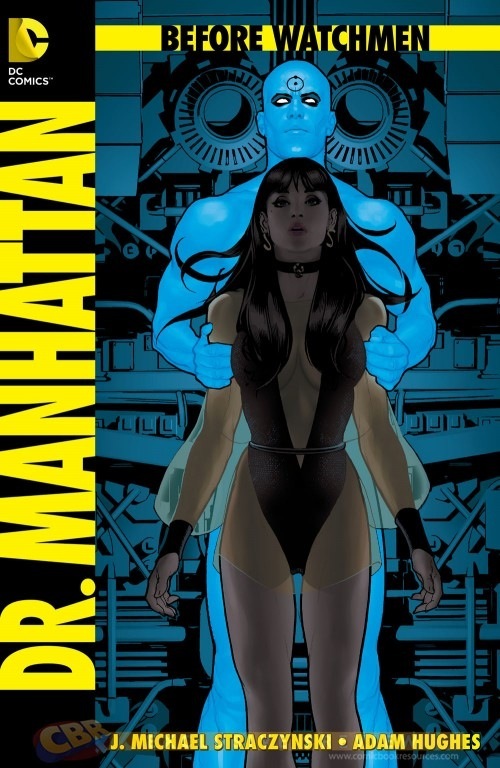 Also while we’re at it we discuss DC Comics recently announced Before Watchmen prequels. 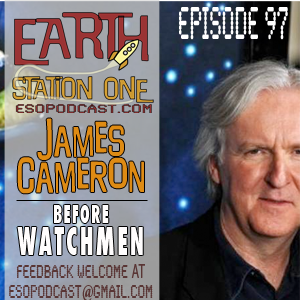 Join us for yet another episode of The Earth Station One Podcast we like to call: The Worlds of James Cameron at at http://www.esopodcast.com/. We would love to hear from you. What are your favorite memories from Red Dwarf series 6? Or, if you want to add your review of Keeper of Taraken, simply leave us a comment at http://www.esopodcast.com/, at the ESO Facebook Group, email us at esopodcast@gmail.com, or call us at 404-963-9057 with your list. We might just read yours on the show. I needed to come up with a quick ad for something yesterday after getting home from the convention so I put this together pretty fast. I think it works and am pretty happy with it. I may redo it with larger covers so I only use each once though. And here it is without the covers. I can add new content as needed. 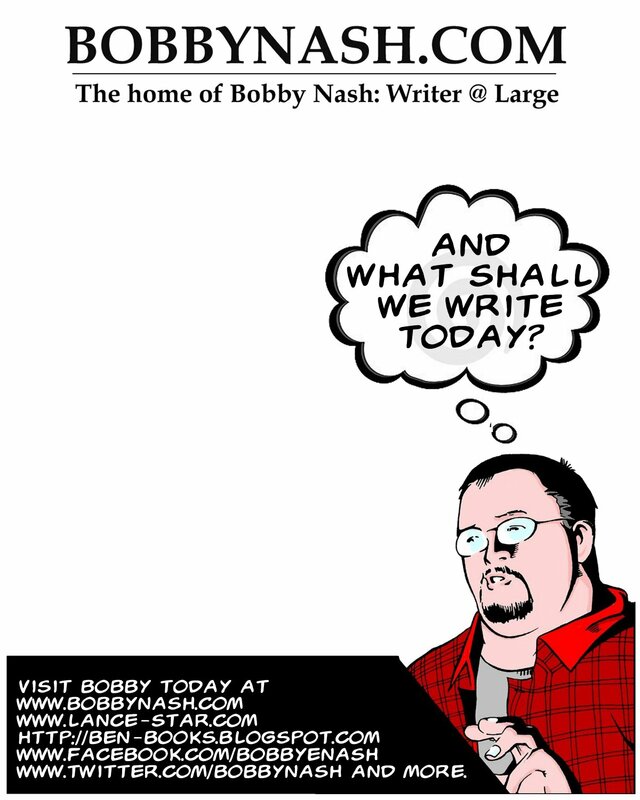 I also think it works blank to symboloize the blank page writers stare at before they start writing. After seeing these, my friend, Jeff Allen, did this parody of the ad. It made me laugh so I had to share it. 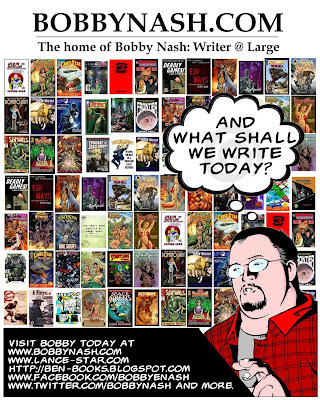 Atlanta Comic Convention Round Up!